Rocket Babe Special Edition Cestris Supplemental Decal Set [SR D-0101] - $6.50 : Sirius Rocketry Online Store, For the Serious Rocketeer! 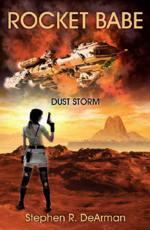 Get the book Rocket Babe - Dust Storm at Amazon.com! Waterslide decal sheets for customizing your models! The way decal sheets used to be!